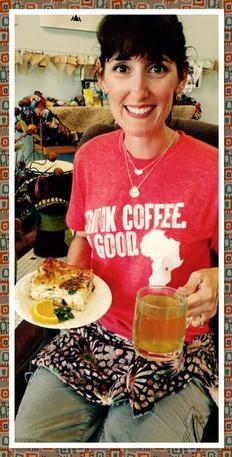 She is shown here with items to "eat in"; we also happily make orders "to go." 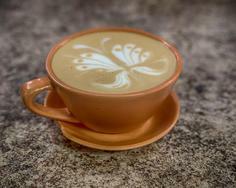 Dine indoors or enjoy our outdoor seating area! 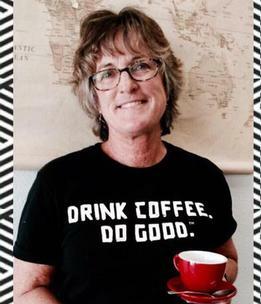 She is pictured in front of our Do Good Line reminding you to "pay it forward" in kindness when you visit. 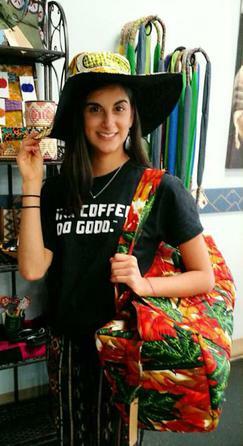 She is modeling many items you can find in the Brewtique including a SEKA travel bag and Project Have Hope Sunny Hat! 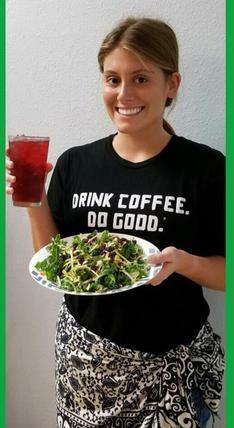 She is seen here with a glass of Blueberry Hibiscus Iced Tea & one of our Kale Salad! She is enjoying the outdoor seating area with a tasty wrap (you can fill it with your choice of chicken, egg, or tuna salad) and a refreshing glass of iced tea! 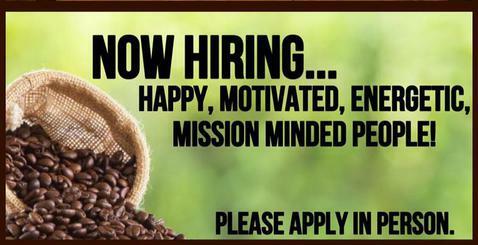 Check out the Be You; Do Good. book written by LOTH founder Jonathan Golden! She is showing off one of our SEKA briefcases and LOTH woven basket, both available in the Brewtique!